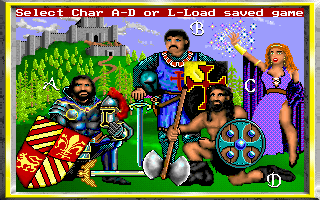 The company founded in 1984 was a developer and publisher of primarily RPG and strategy games for PCs and consoles. In 1996 they were acquired by 3DO. 7/1/2016 9:33:00 PM - Vegeta the Knight Yeah you can make your army "fly" you in the map if you have a dragon, demon, archmage. I dont think Vampiers can. Sprites cannot "fly" you in map. In order to use "fly" in map you must not have any other units that cannot fly. And you cannot have sprites even though they can use fly in battle. 5/18/2016 8:01:00 PM - dazzie Please make this an android port!! 2/10/2015 8:50:00 AM - zam To clear up questions about flying. Vampires, Archmages, Demons, and Dragons can carry a player over terrain - "fly". 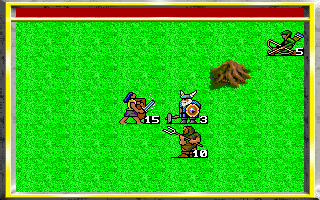 Sprites technicly have the in-battle ability to fly but cannot carry the player. 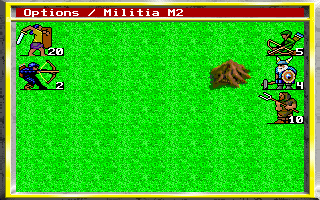 To fly, the player can only have flight capable units - so you have to deposit any others in a castle. Sprites count as a non-flying and must be gotten rid of. 10/17/2013 5:09:00 AM - Peter To answer your question Jay (I don't know if anyone has yet), it's true that you can fly on the world map when you have a flying army. The trouble is, your army can carry only you, not the rest of your forces. That is to say, the flying army must be the only army in your team at the moment of flight. 8/3/2013 3:36:00 PM - Jay When I get flying units (ex. vampires) I can't fly when travelling on the map? The controls say 'f' but this doesnt work. Any help? This would make it 10 times easier to play the game. 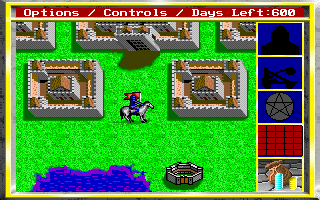 2/15/2013 1:09:00 PM - Gavindale Quick question... when I had this game on my Apple//gs, I was only able to have one saved game at a time, meaning if I am playing a knight (hypothetically), I can't play a magic user till I finish with the knight, or erase my save first. My question is this…. 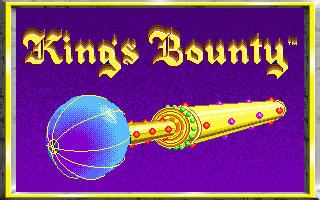 once I download Kings Bounty, can I have more than one save at a time? How does this whole save option work, concerning Kings Bounty? 2/14/2013 11:29:00 PM - Gavindale When I had this game on my Apple//gs, I could only have one save file per disc - with this download, can I have more than one save at a time?